Merging the space between indoors and outdoors has become a popular trend in home decor, with doorways and windows at the centre of design. Sought after open layouts that maximise the space of adjacent living areas can create a single living space for families to enjoy, and more and more homes are extending this design to the garden. 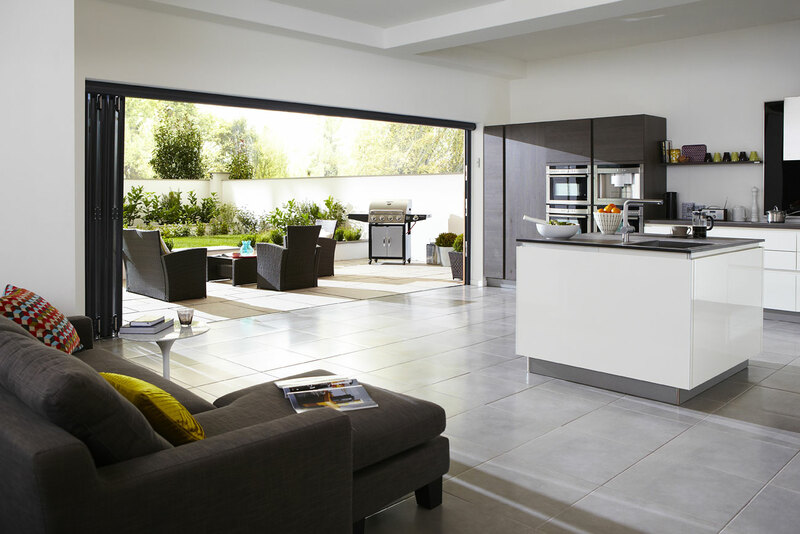 With stylish Lite Haus bi-folding doors you can combine the dining space of your kitchen or the seating area of your living room with your outdoor patio and garden. Bi-folding doors can be folded away completely so that the wall that separates your house from your landscape vanishes. If you incorporate your interior design with outdoor seating and accessories you have easily expanded your living space and can enjoy the luxury of alfresco dining throughout the year. On the colder days, the closed glass doors maximise natural light and provide a fabulous window to your surrounding view. Regardless of room size, bi-folding doors and windows can create more space and easily transform the design of your home without the fuss of planning permission! Take a look at our gallery and get inspired!